It’s no secret that one of the biggest challenges in property development is finding deals, particularly in large urban centres like London. There’s simply not a huge amount of land available, or where there is a site, it’s often tight on space or commercial viability. But what if we told you there’s another way? What if you don’t have to create a new plot in a back-land site, or clean up a derelict brownfield site to build houses on? The answer might be right under your nose, or strictly speaking, above your head. If you follow the property news, you’ll have noticed about a year or two ago that Tesco started selling rights to the airspace above its stores and car parks. Where once there was air, there will now be housing. And Tesco is not alone; there are examples all over the Capital of where landowners and landlords have built upwards to add extra value. We know this because we’ve been designing schemes all over London too. For example, we’re currently working on a project in zone 1 where our developer client owns the freehold to a mansion block of 50 rental units. 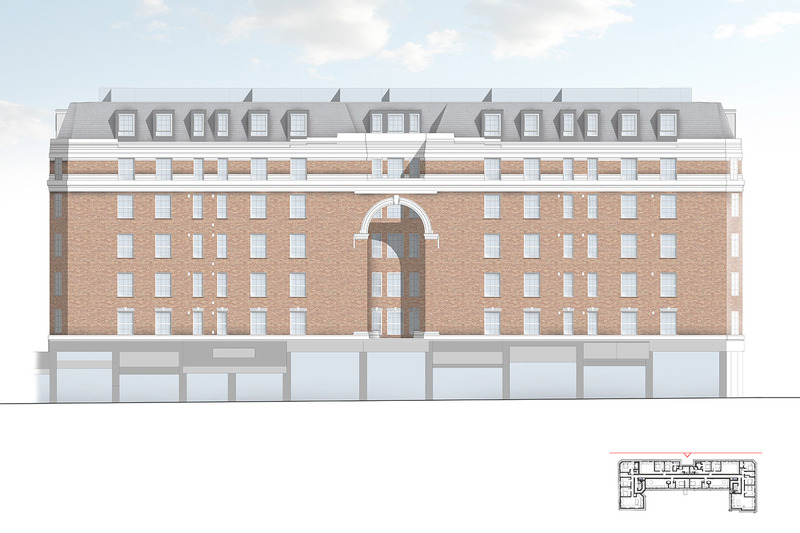 To realise extra value, we have designed and secured planning permission for one extra storeys on top of the building for 8 penthouse apartments. With an estimated GDV of £10m+, it represents a significant uplift in value for the client’s asset and ultimately return on investment. We’ve worked on schemes like this across London, from adding an extra bedroom on a buy to let investment, to schemes for hundreds of apartments in a supermarket car park. If you would like to find out more, you can hear from Granit’s Robert Wilson, who will be speaking at the Property Summit in London on 10th June. The Summit promises to be a day packed with ideas, advice and inspiration for property developers in London. You can find out more about the Property Summit and book tickets here. With over 100 property investors and developers expected to attend, it will no doubt be a great place to network too. We look forward to seeing you on the 10th June.